Get ready to sharpen your skills and perfect your strategies—Season 6 of Competitive Play has begun! Unlocked at Level 25, Competitive Play is designed for those players who want to put their skills to the test, and offers a more serious experience than our Quick Play or Arcade modes. To begin your competitive journey this season, click on the "Play" button, select "Competitive Play" from the submenu, and you're ready to enter a match. You can join on your own or in a group, and Overwatch's matchmaking system will automatically find the best game possible for your skill level. Before you can kick off your competitive career, every player must first complete 10 placement matches to obtain their initial skill rating. This rating will be a number between 1 and 5000, with higher values indicating a greater skill level. Players will also be assigned a tier based on their rating—Bronze, Silver, Gold, Platinum, Diamond, Master, or Grandmaster—and climbing into the next tier is possible as you improve. Skill ratings and tier icons will be visible at the beginning of every match. As you compete, your rating will increase or decrease with each win or loss based on a number of factors, including your own performance and the skill of the other players in the match. A detailed breakdown of the skill tiers, along with icons and information about the corresponding skill ratings can be found by pressing the "Information" button under the Competitive Play menu. In addition to experiencing the thrill of victory, players can also unlock unique rewards through Competitive Play. Anyone who completes their placement matches during a season will receive a special spray and player icon. If you are placed within the Top 500 players on your platform (and in your region) at the end of the season, you’ll receive an extra player icon and animated spray. On top of that, as you complete competitive matches, you’ll earn a currency called Competitive Points. When the season concludes, you’ll also receive a number of these points (based on your overall performance) to spend on golden versions of your favorite heroes' weapons. Over the last few months, we've been listening to your feedback and working behind the scenes to make this season of Competitive Play better than ever. So, before you dive into your placement matches, let’s talk about what's new for Season 6. The length of Competitive Play seasons has been reduced from three months to two months. We hope this will help seasons feel more fresh while also allowing adequate time for players to complete their placement matches and work towards their desired rank. Due to the shortened season length, fewer Competitive Points will be rewarded at the end of each seasons. On the flip side, more Competitive Points will be rewarded for wins or ties in Competitive Play. 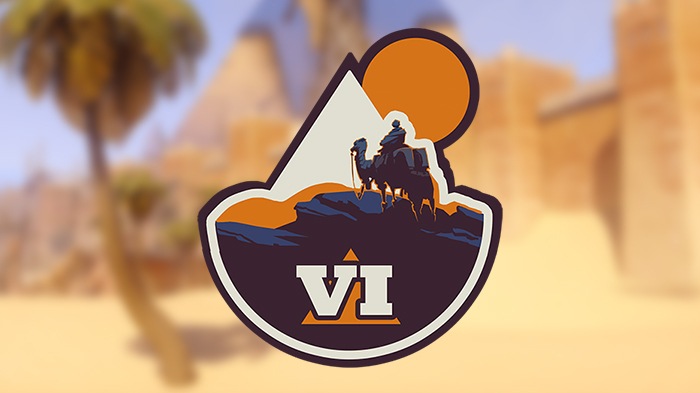 Players will now receive 15 Competitive Points for a win (formerly 10) and 5 Competitive Points for a tie (formerly 3). Players in Silver, Gold, Platinum, and Diamond will now be moved into lower skill tiers if they cannot maintain the minimum skill rating for that tier over five games. Don’t worry: Competitive Points awarded at the end of a season will still be based on the highest tier earned that season. So, for example, if you reach Platinum during Season 6, but ended the season in Gold, you will still receive a number of Competitive Points based on your Platinum ranking. Periodic skill rating decay has been reduced. Previously, inactive players in Diamond, Master, and Grandmaster would lose 50 Skill Rating per day if they did not play seven competitive games per week. This has been reduced to 25 skill rating per day and the minimum games-per-week requirement has been reduced from seven to five. Playing a match now increases the time till decay by 36 hours (up from 24 hours). The maximum # of days remains at 7. Player Skill Ratings will no longer be temporarily lowered at the beginning of a season (after placement matches). As a result, Skill Rating earned during players' placement matches will now more accurately reflect their true Skill Rating. We've also adjusted the calculations that determine how much skill rating players will gain after a win and lose after a loss. These changes should help address some of the anomalies players have been reporting, especially with heroes with lower win-rates. We'll continue tuning this system and are committed to making additional changes so that players are encouraged to play the hero they feel gives their team the best chance to win a competitive match. And, finally: Control maps will now be decided based on a best-2-out-of-3 series (formerly 3-out-of-5). Season 6 is live RIGHT NOW on PC, PlayStation 4, and Xbox One, so power up your favorite gaming machine and join the fight. We’ll see you on the battlefield!